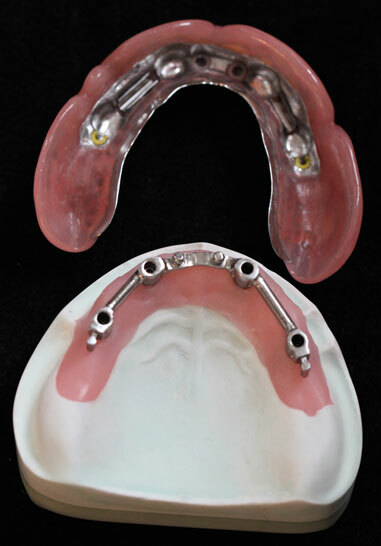 At Damore Dental Lab, we offer quality implant dentures. 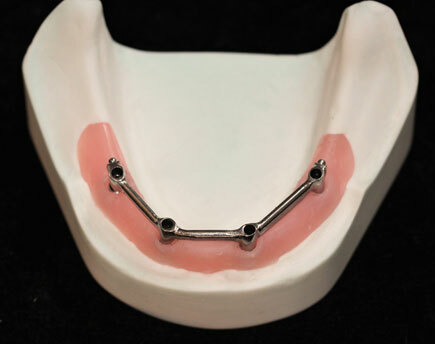 Our removable implant solutions provide you with reliable restorations that utilize the latest technology for a reasonable and consistent price. 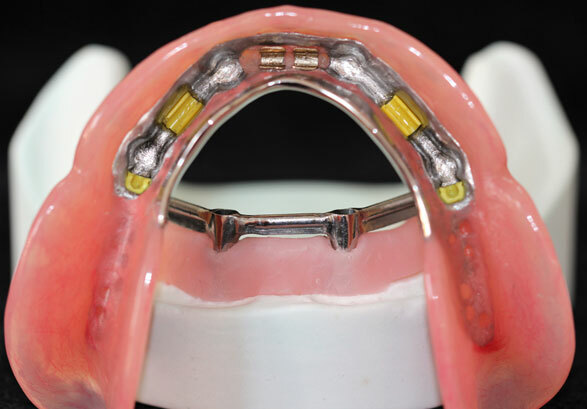 Implant overdentures are indicated for patients who desire a more stable prosthesis that improves retention, function and speech. 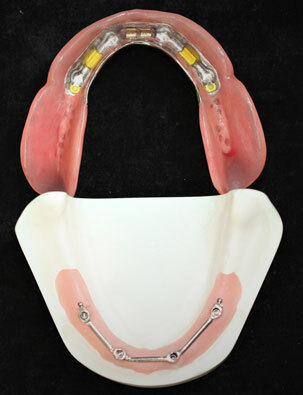 The Locator Implant Overdenture is indicated when there are at least two implants in place, and is most common in the mandible.